The current crisis in northeast Nigeria has been called the “greatest crisis on the African continent“. 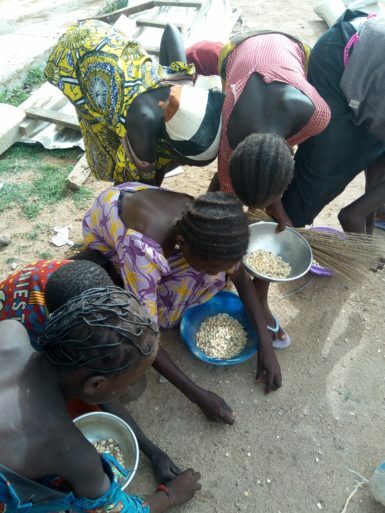 More than five million Nigerians live in famine-like conditions in Borno, Adamawa and Yobe states, the epicentre of the eight years-long Boko Haram insurgency. 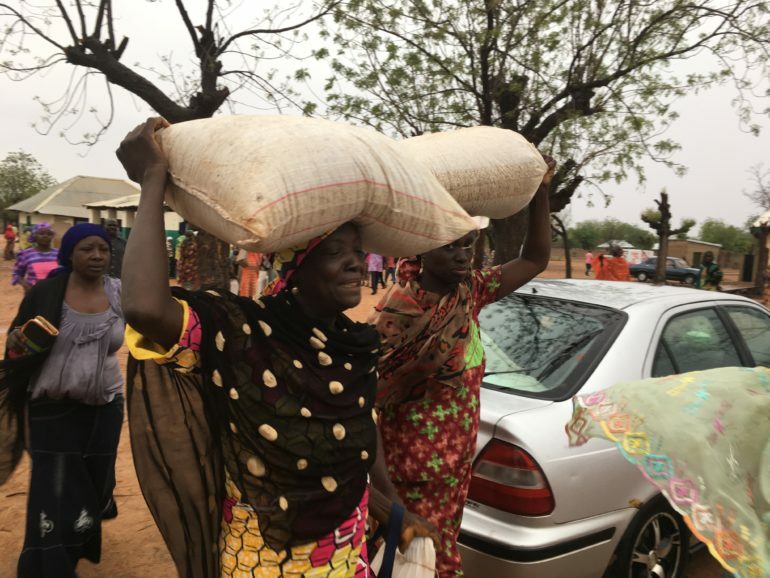 According to the World Food Programme, the ongoing insecurity has not only displaced almost 2 million people and brought farming activities to a halt; it also hampers people’s access to humanitarian aid. Not to mention the destruction of 75% of water and sanitation infrastructure that World Watch Monitor reported in May. The UN High Commissioner for Refugees reports that 42% of those affected by the crisis are in female-headed households, which are among the most vulnerable groups facing the ongoing food insecurity – women such as Rhoda. 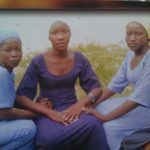 Rhoda’s family was once quite well-off, with a farm in Yobe state which produced enough to provide for all their needs and also to employ others. This changed when Boko Haram attacked their village. The militants set properties on fire, including their home. 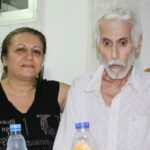 Rhoda’s father, who was in the house during the attack, died a few weeks later from his injuries. As the oldest of seven, the responsibility for providing for the family fell on Rhoda’s shoulders. Church leader Daniel, at one of the distribution locations, describes the difficult situation Christian farmers find themselves in. “People are pushed out of their farms for fear of being attacked on the farm. Now we are seeing social boycotts, simply because, when relief materials are purchased, Christians hardly benefit,” he says. 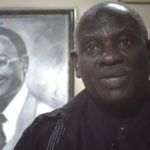 It is this combination of attacks and boycotts, says Rev Mike Moses, CAN Chairman in Adamawa state, which makes it a “calculated attempt to eliminate the Church through hunger and denial of other social amenities”. The church leaders are recounting stories that are not new. There has been a steady flow of stories in the last few months about Christians who are denied food aid in camps for internally displaced people (IDPs). 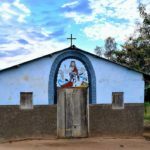 With the help of the local Church, the international charity Open Doors identified the 15,000 most desperate families and provided relief aid consisting of 100kg of maize, 50kg of beans and some cash to pay for other costs. Although it does not solve the underlying problems, Open Doors says this will at least help them to get through the lean season (June – August), when there is no harvesting and less food to go around. 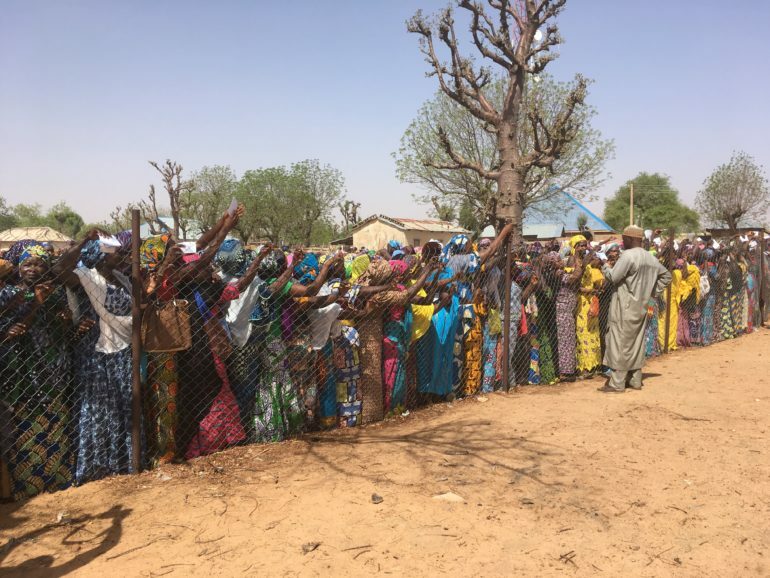 At a church compound in Yobe, Rhoda queues with thousands of others looking solemn, worried and tired, as they wait to receive their food parcel. Each distribution is a massive operation. While staff and volunteers take care of the logistics and organisation, young men stack bags of food, ready for distribution. Security personnel scan the crowds for anyone suspicious who might be associated with Boko Haram – known to infiltrate sites like these to cause even further destruction. 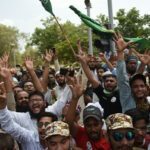 Recently, they attacked two IDP camps in Maiduguri, the capital of Borno state. But the challenge is not only coming from outside. The crowd is restless, wondering if there really is enough for all. No matter how many times staff assure them that the voucher in their hands means there is a parcel for them, it sounds too good to be true. The doubts are contagious and soon it leads to pushing and shoving. Not far from where Rhoda waits, the mass of bodies threatens to flatten the flimsy church fence. The next moment, security ushers away a woman who has fainted; this happens over and over again. Most people have endured hardship, they are displaced and hungry, and being at the food distribution centre with thousands of others is overwhelming and exhausting. Rhoda eventually receives her family’s share. The emotions are intense and she can’t say a word, but tears run down her cheeks as she signs for the food. She hugs the nearest aid worker warmly and then accompanies the young man who volunteered to carry the heavy load to a cart and pull it home through the dusty streets of Yobe. Once home, Rhoda immediately starts the fire to cook a meal – it will be the best meal they have had in a long time. With her eyes fixed on the fire, as it crackles and smokes, she can speak more easily. “When God says: ‘Never will I leave you, nor forsake you,’ he was talking to me. Who am I that you send help to me? I am speechless. You are indeed angels sent by God to wipe my tears away,” she says. The relief aid also helped Rhoda to start thinking differently about her response to Muslims who denied her support in the past. “It is true that even in the heat of the crisis, gunshots and persecution, Christians could still show love. I hated Muslims and swore never to help them even if they are at the point of death, because they always deny us any support. But this support I received through Open Doors is unconditional and it has helped me to alter my hatred for Muslims. I have found a new perspective,” she says.